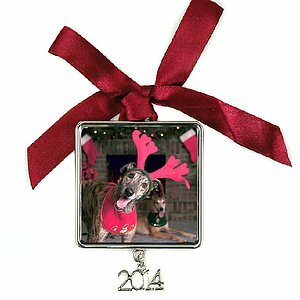 This shop features images I have created over the past 25 years of volunteering in greyhound rescue. Please check back often as I will be expanding our offerings dailly and remember every purchase helps us to keep making sure that every retired racing greyhound finds a forever home. Holiday Cards! 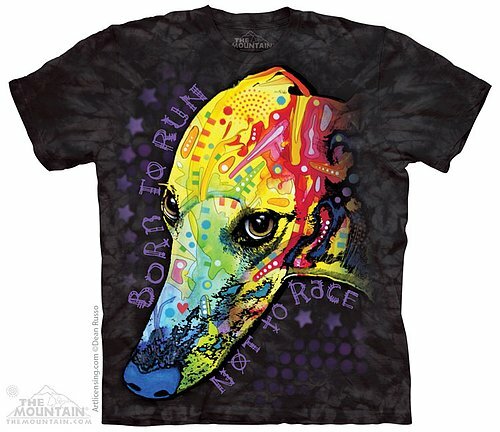 Click below to see all 9 Greyhound designs. 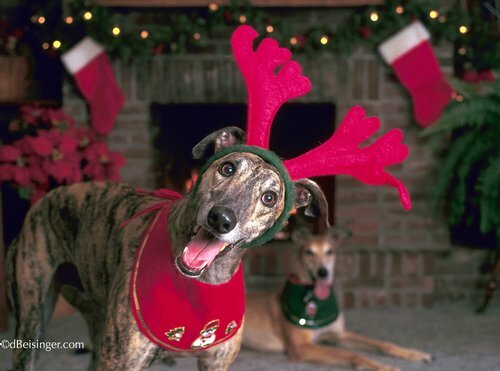 Check out our new line of Greyhound/Lurcher holiday cards. Sold in packs of 19 and 25, 5x7 folded cards, blank inside, includes envelopes. Available in Adult Sizes from Small to 5x, click image to order yours! Our Classic T-shirt features an over-sized relaxed fit, with reinforced double-stitching on all seams. A mid-weight, 100% cotton tee, hand-dyed and screen printed in New Hampshire using water-based inks and dyes. After just one wash you will not know where the print ends and the shirt begins. Our unique printing process actually pulls the dye color out of the shirt and leaves the ink color behind, essentially dyeing the cotton with the ink. After dyeing they are washed and dried, so they arrive to you comfortable, pre-shrunk & ready to wear. Take a look at our line of holiday ornaments for 2014. These handcrafted in the USA ornaments are pewter plated and the image is protected under a protective glass like coatilng, preserving it for generations to enjoy. A portion of the proceeds of every sale help retired racing greyhounds to find their forever homes. You can also use one of your own images to create the perfect one of a kind gift for that special person in your life. Just click on the image to see our fill line of ornaments. We are proud to introduce you to our new line of 50x60" plush printed throws. These warm and snuggly throws with any of our greyhound images or one of your own makes this the perfect gift for the greyhound lover in your family. 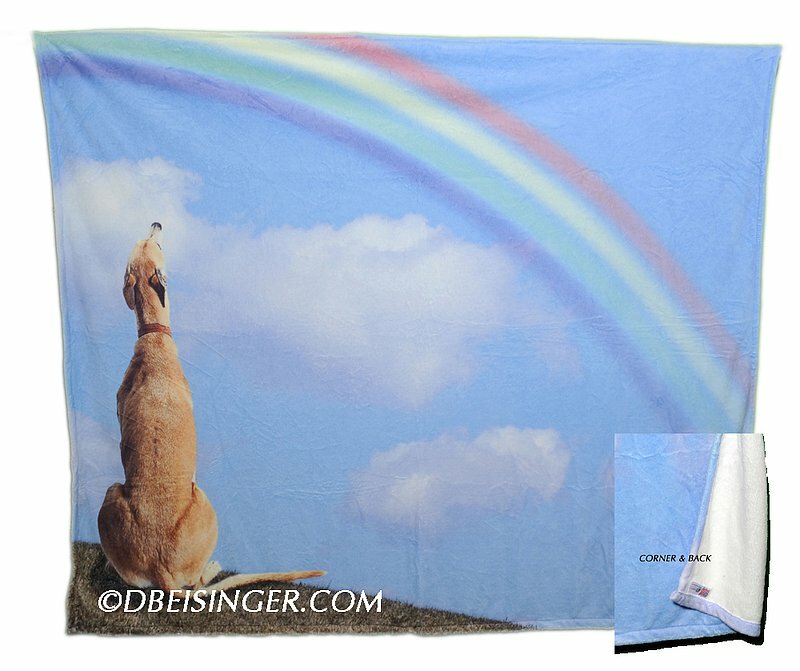 We can add text to any of our images that you will find in our database by clicking on the rainbow image. We can also make a custom design using one or more of your images. Personalize it so they know how special they are to you!